Do Dental Implants in Federal Hill Mimic Natural Teeth? 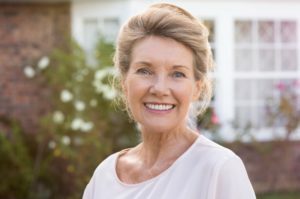 Dental implants have become a popular tooth replacement option because of their many unique benefits. 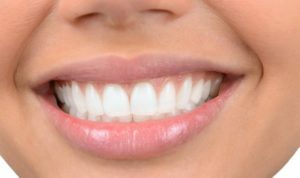 If you have missing teeth and are searching for the most natural looking replacement, you may want to consider dental implants in Federal Hill. This custom-made replacement solution restores the look, feel, and function back to your smile. They provide incredible health benefits, but how do dental implants compare to your natural teeth when it comes to appearance? Keep reading to find out! Comments Off on Do Dental Implants in Federal Hill Mimic Natural Teeth? Are you new to Invisalign in Federal Hill? You can make the adjustment easier by wearing the product as directed, cleaning it according to your dentist’s recommendations, and giving your mouth time to adjust. It’s also helpful to keep the storage tray handy and to bring some extra sets with you when you travel. A Local Dentist Debunks 5 Myths About Invisalign in Federal Hill! For people with crooked teeth, the idea of smiling for a picture or communicating with friends can be troubling. That’s because they don’t want to draw attention to their imperfections. Thankfully, with Invisalign in Federal Hill, there is a way to create a more aesthetically-pleasing look. However, there are 5 myths circulating that could make you apprehensive about receiving this form of orthodontic care. As you read on, a local dentist helps you get to the bottom of the matter! Comments Off on A Local Dentist Debunks 5 Myths About Invisalign in Federal Hill! It’s difficult to lead a normal life without a full set of teeth. Simple activities like chewing food and smiling for photos can cause angst. Prolonging the replacement of any number of missing teeth can cause even greater challenges, though. As you read on, find out why a dental implant in Federal Hill is your best option for being restored and why now is the time to act! Your Dentist in Federal Hill Gives Tips for Better Oral Health This Year! Do you feel like you could have been more attentive to your oral health last year? If the answer is “yes,” then you now have an opportunity to take some steps in the right direction. 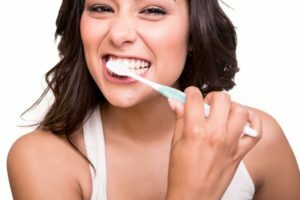 To help in your quest, your dentist in Federal Hill says there are some simple changes you can make that will protect your mouth, teeth and gums in the new year! Comments Off on Your Dentist in Federal Hill Gives Tips for Better Oral Health This Year! Are you considering straightening your teeth in 2019? For years, your only option was traditional braces. These bracket and wire orthodontics not only affect the appearance of your smile, but they can be painful and uncomfortable. Thankfully, modern dentistry has brought you a different option: Invisalign treatment. Now, you can receive a straight smile in the most comfortable and discreet way possible. Keep reading to learn about the benefits of Invisalign in Federal Hill as well as what the treatment process is like. The holidays are just around the corner. As you spend time shopping for the perfect gifts and planning tasty meals, are you overlooking your smile? If your teeth are not holiday-ready, you can quickly revamp your confidence with the help of your cosmetic dentist in Inner Harbor. Using procedures catering to your individual needs, you can smile brightly well into the new year. What Kind of Toothbrush Does a Dentist In Federal Hill Recommend? Have you ever found yourself staring at the wall of toothbrushes at the grocery store, wondering which one to pick? You’re not alone – there are so many choices that it can be overwhelming for anyone! But, as any Federal Hill dentist will tell you, all toothbrushes are not created equal. And since good oral hygiene habits are crucial for having a healthy, beautiful smile, it’s well worth it to make sure you’re using the best toothbrush for your needs. 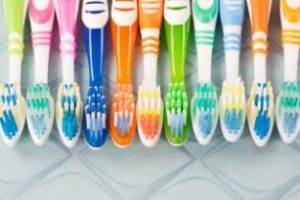 Keep reading below to learn about the differences between various toothbrushes and how to choose the right one! Comments Off on What Kind of Toothbrush Does a Dentist In Federal Hill Recommend? Here at Harbor East Dental, we’ve always done our best to make oral healthcare a positive experience for all of our patients. From our friendly manners to our expert touch to our appealing office space — it’s all about making you comfortable and earning your loyalty! But we’re not ready to rest on our laurels. That’s why we’re always making improvements to keep our spot as your trusted dentist in Harbor East. 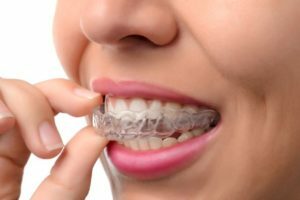 Many patients who choose to move forward with Invisalign orthodontic treatment are excited they won’t need to take the extra time to brush and floss around traditional bracket and wire braces. However, these patients do need to take special care to keep their Invisalign trays clean in order to avoid tooth decay and gum disease that can occur when patients don’t properly care for their smiles while completing alignment tray orthodontic treatment. In this post, we’ll walk you through how best to care for your smile and your Invisalign aligners throughout your orthodontic treatment plan.